Has your family been affected by mesothelioma or an asbestos-related cancer? You’re not alone. Each year in Arkansas, people are exposed to cancer-causing asbestos, some of whom will develop mesothelioma as a result. Asbestos exposure is not always obvious. A naturally-occurring group of minerals, asbestos has been used in building materials because it resists heat and corrosion. Today, asbestos is widely recognized as an extreme health hazard, and its use is highly regulated by OSHA and the EPA. Unfortunately, asbestos fibers remain in many older buildings across Arkansas. How Do I Know if I’ve Been Exposed to Asbestos in Arkansas? 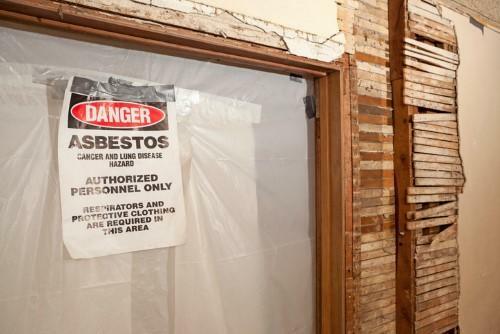 Construction workers who repeatedly worked in older industrial buildings, or with construction materials containing asbestos, are most at risk for heavy asbestos exposure. Asbestos exposure occurs when you inhale the fibers. Some fibers can attach to the membranes of lungs and other internal organs, eventually causing cancerous cells to rapidly produce in the mesothelial membrane that lines most of our organs. Because the fibers are too small to see, victims of asbestos exposure are often unaware that they are inhaling dangerous fibers. Unfortunately, the average homeowner may also be at risk for asbestos exposure. It was frequently used in building materials in homes built before the 1980s, and even simple home repairs that stir up asbestos can bring you into contact with the fibers. Asbestos exposure is the primary risk factor for mesothelioma, a cancer that occurs in the thin layers of tissue that cover your internal organs. It most often occurs in the lungs, but may be found more rarely in the tissues surrounding the abdomen, heart, and testicles. Mesothelioma is an aggressive form of cancer, made worse by the fact that it can develop 20 to 40 years after exposure to asbestos. Symptoms often do not occur until the disease is in advanced stages. Be sure to share the details of your asbestos exposure with your doctor. It’s important to find a medical professional you can trust to discuss your symptoms and walk through the possible diagnosis. Are there Treatments Available for Arkansas Patients with Mesothelioma? Because mesothelioma often reaches advanced stages before doctors are able to diagnose it, a cure may not be possible for many patients. However, there are several different treatment options that a doctor may recommend. If you’ve been diagnosed with mesothelioma in Arkansas, you can decide with your family whether you wish to pursue an aggressive plan of treatment, or would prefer to focus on quality of life. Surgery to remove the cancerous tissue, remove an affected lung, or decrease fluid buildup in the chest. Clinical trials, in which people with mesothelioma may try new types of treatment, such as biological therapy or gene therapy. If I have Mesothelioma, How Can a Lawyer Help? If you or a loved one have been exposed to asbestos and have been diagnosed with mesothelioma, you may have legal rights to compensation. The Asbestos Awareness Center recommends contacting a lawyer right away to discuss your case and review legal options. At Taylor King Law, we understand that no amount of money can bring back your health or quality of life. However, a successful mesothelioma lawsuit or court settlement can help cover the cost of medical expenses and provide peace of mind. You should never have to fear for your family’s future in this already difficult situation. Taylor King can help you find peace in the midst of the battle against mesothelioma. With more than 20 years of experience in Arkansas, our firm will be your local, trusted contact throughout your case. We have offices across Arkansas for your convenience, but if you can’t come to us, we’ll come to you. Our investigators are glad to meet you at your home. At Taylor King Law, our team is ready to stand On Your Side, By Your Side. We will work with the nation’s best mesothelioma lawyers and experts to ensure you receive the outcome that you deserve. It all begins with a phone call: dial 1-800-CAR WRECK (800-227-9732) to begin your free, no-obligation consultation with Taylor King today. You can also complete the form on our website to submit your information. You’re one call away from getting help today.